Imagine that a friend asks to borrow money from you. Assuming you had the money to loan, you might then ask yourself, “Did he pay me back the last time he borrowed money? Did he pay me back the full amount? On time?” When you approach banks and lenders for a loan, they go through a similar analysis, but since they don’t know you personally, they use your credit history to determine whether you will be a responsible borrower. Lenders learn about your credit history by looking at your credit report. You can get a free Credit Report Card that includes your free credit score right now! 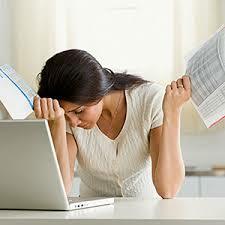 Credit reports are developed by three separate credit agencies. These agencies (Equifax, Experian, and TransUnion) gather information about your credit history, and, using a formula developed by Fair Isaac Corporation (FICO), each assigns you a credit score. You will end up with three slightly different credit scores, each from one of the three agencies. Lenders typically look at your middle credit score (as opposed to the highest or the lowest), and you must provide all three of your credit scores (one from Equifax, one from Experian, and one from TransUnion), when applying for a loan. Why are credit scores so important when buying a home? Your credit score helps determine the rate and conditions you receive on a loan. If your credit score is high, meaning that your credit history indicates that you’ve paid your credit card bills on time, haven’t “maxed out” your credit cards, etc., then lenders believe it’s a fairly good bet that you won’t have difficulty paying off your loan. They will see you as a low-risk investment and offer you a low rate on your loan with good conditions. If your score is lower, lenders will think you’re a riskier investment, and charge you (by loaning you money at a higher interest rate, often including hidden charges) to take on the perceived risk. Get your free credit score now. How do credit scores affect you when applying for a loan? For others, 640 or 620 is the line at which you won’t be considered for their better programs. Once you get into the 500s, you are a candidate only for what the industry calls subprime loans, those with interest rates that are a couple of percentage points higher than those offered to prime borrowers. Subprime loans also often come with a lot of hidden charges. So you can see the importance of keeping a good score. It used to be okay to miss a credit card payment deadline. You might pay a $15 late fee. Big deal! But if you do this on a regular basis, it can savage your score and cost you many, many times that amount when you want to buy or refinance a home. That’s the bad news. The good news: your credit score isn’t fixed in stone. 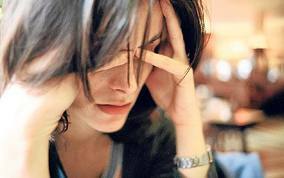 If you have bad credit scores, there are ways to improve your credit health. If you find your scores are lower than you expected, you’ll need to engage in credit rehab. This is different from credit repair, defined as going to an outside company that promises to cure your problems and raise your scores. There may be some good ones out there (along with some disreputable ones) but they can’t do anything you can’t do yourself and you shouldn’t waste your time or money going to them for help. From a financial standpoint, it is almost always better to take the time to improve your credit health, and make yourself eligible for a better interest rate, than it is to apply for a loan with a credit score that will only make you eligible for a subprime loan. There are 5 main parts of your credit score. Payment history measures how you’ve paid on your debts. Payment history is the largest part of your credit score because if you’ve recently missed payments your creditors, it’s likely those missed payments will continue, and may lead to default. Payment history also measures how “severe” a missed payment has been. An item in collection is worse than an item paid 30 days late. Tips to improve : Make payments on time, all the time — even items in dispute. Pay the bill and worry about refunds later. Amounts owed measures how “maxed out” you are. Amounts owed is the second-largest part of your credit score because a person that is maxed out has no safety valve in the event of a crisis. Amounts owed is not about the dollar amount you’re borrowing — it’s about the dollar amount you’re borrowing relative to the amount available to you. Tips to improve : Don’t close out “old” credit cards, and don’t lower your available credit limits. Having access to credit is good. Your credit history is your track record with respect to managing credit. Credit history matters in the FICO model because “experienced users of credit” are viewed differently from new users of credit. Similar to the hiring process for a job, the credit bureaus want to see this isn’t your first experience. Tips to improve : Don’t close cards with “history”. You need them to show you’re experienced with credit. This category accounts for your recent attempts to secure new credit. In general, the more credit for which you’ve applied, the more damage it will do to your credit score. This is more true for credit cards than for mortgage applications. A consumer in search of new credit cards is presumed to “need” more credit lines. Tips to improve : When you shop for a mortgage, multiple credit checks can count as a single credit inquiry, protecting your credit score. The type of credit you carry matters and not all credit types are the same. Installment loans such as mortgage loans and student loans, for example, are considered “better” than credit cards and charge cards. This is because installments loans eventually pay down to zero. Consumer cards, by contrast, can only go up. Tips to improve : Don’t carry an abundance of store charge cards. Interest rates are high and the FICO model looks unfavorably upon them. Keep Clear Of Credit Limits – Carrying a $500 balance on a $500-limitcredit card is bad for your FICO. You’re“maxed out”. Carrying $500 on a $5,000-limit credit card, however, is good for FICO.You’re far from your limit. Keep balance ratios under 30% for best results. Resist “Cash Register” Offers – Many retail stores offer discounts for“opening up a store charge card”. Thediscounts are tempting, ranging up to 25%of your purchase price. To receive yourdiscount, however, you’ll be subject to a credit inquiry for a charge card that will be nearly maxed-out from the outset. These are each negative forces on your FICO. If you’rebuying a home sometime soon, you maysave more money by passing on the in- store offer. You can check your credit score each month using Credit.com’s free Credit Report Card. This completely free tool will break down your credit score into sections and give you a grade for each. You’ll see, for example, how your payment history, debt and other factors affect your score, and you’ll get recommendations for steps you may want to consider to address problems. 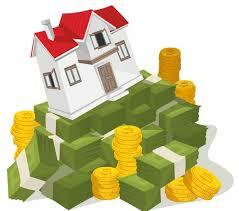 In addition, you’ll also find credit offers from lenders who may be willing to offer you credit. Checking your own credit reports and scores does not affect your credit score in any way. If your scores are below 760, you may not be getting the best rates for loans or insurance — so doing some credit repair can save you money. So you’ve had a few problems getting the bills paid lately, and you’re wondering what you can do to repair the damage to your credit. You’ve got plenty of company. Tens of millions of people in the United States have credit blemishes severe enough (and FICO credit scores under 620) to make obtaining loans and credit cards with reasonable terms difficult. Or maybe your credit is OK, but you’d like to make it better. After all, the better your credit, the less you pay in interest and, typically, for insurance. To improve your credit scores, it’s important to know where you stand now. You can get free credit reports once a year, but you typically have to pay to see your FICO scores. (You can get other credit scores for free at sites like Credit Karma, but these aren’t typically the scores lenders use.) If your scores are above 760, you’re probably already getting the best rates. If they’re anywhere below that mark, though, they could stand some improvement. Don’t fall for the myth that you have to carry a balance to have good scores. You don’t, and you shouldn’t. But having and using a credit card or two can really build your scores. If you can’t qualify for a regular credit card, consider a secured credit card, where the issuing bank gives you a credit line equal to the deposit you make. Look for a card that reports to all three credit bureaus. If you don’t already have an installment loan on your credit reports, consider adding a small personal loan that you can pay back over time. Again, you’ll want the loan to be reported to all three bureaus, and you’ll probably get the best deal from a community bank or credit union. Paying off your installment loans (mortgage, auto, student, etc.) can help your scores but typically not as dramatically as paying down — or paying off — revolving accounts such as credit cards. Lenders like to see a big gap between the amount of credit you’re using and your available credit limits. Getting your balances below 30% of the credit limit on each card can really help; getting balances below 10% is even better. Though most debt gurus recommend paying off the highest-rate card first, a better strategy here is to pay down the cards that are closest to their limits. Racking up big balances can hurt your scores, regardless of whether you pay your bills in full each month. What’s typically reported to the credit bureaus, and thus calculated into your scores, are the balances reported on your last statements. You often can increase your scores by limiting your charges to 30% or less of a card’s limit; 10% is even better. If you’re having trouble keeping track, you can set up email or text alerts with your credit card companies to let you know when you’re approaching a limit you’ve set. If you regularly use more than half your limit on a card, consider using other cards to ease the load or try making a payment before the statement closing date to reduce the balance that’s reported to the bureaus. Just be sure to make a second payment between the closing date and the due date, so you don’t get reported as late. Your scores might be artificially depressed if your lender is showing a lower limit than you actually have. Most credit card issuers will quickly update this information if you ask. If your issuer makes it a policy not to report consumers’ limits, however — as is sometimes the case with “no preset spending limit” cards — the bureaus may use your highest balance as a proxy for your credit limit. You may see the problem here: If you consistently charge the same amount each month — say, $2,000 to $2,500 — it may look to the credit-scoring formula like you’re regularly maxing out that card. If you have an American Express charge card — the kind that must be paid in full every month, rather than the kind on which you carry a balance — you probably don’t have to worry, because charge cards typically aren’t included in the credit utilization portion of the FICO formula. If, however, the card is categorized on your credit reports not as a charge card but as a revolving credit card, and either a credit limit or high balance is reported to the bureaus, your balances on the card could be a problem. You could go on a wild spending spree to raise the high balance reported to the credit bureaus, but a more sober solution would simply be to pay your balance down or off before your statement period closes. The older your credit history, the better. But if you stop using your oldest cards, the issuers may decide to close the accounts or stop updating them to the credit bureaus. The accounts may still appear, but they won’t be given as much weight in the credit-scoring formula as your active accounts, said Craig Watts, an executive at Fair Isaac, the company that created the FICO score. So you might want to charge a recurring bill to one of those little-used accounts or take them out for dinner and a movie occasionally — always, of course, paying off the balance in full. A longer-term solution for more-troubled accounts is to ask that they be “re-aged.” If the account is still open, the lender might erase previous delinquencies if you make a series of 12 or so on-time payments. Some consumers also have had luck disputing old items with a lender that has merged with another company, which can leave lender records a real mess. Late payments, charge-offs, collections or other negative items that aren’t yours. Accounts listed as “settled,” “paid derogatory,” “paid charge-off” or anything other than “current” or “paid as agreed” if you paid on time and in full. Accounts that are still listed as unpaid that were included in a bankruptcy. Negative items older than seven years (10 in the case of bankruptcy) that should have automatically fallen off your reports. You actually have to be a bit careful with this last one, because sometimes scores actually go down when bad items fall off your reports. It’s a quirk in the FICO credit-scoring software, and the potential effect of eliminating old negative items is difficult to predict. Various misspellings of your name. Outdated or incorrect address information. An old employer listed as current. If the misspelled name or incorrect address is because of identity theft or because your file has been mixed up with someone else’s, that should be obvious when you look at your accounts. You’ll see delinquencies or accounts that aren’t yours and should report that immediately. However, if it’s just a goof by the credit bureau or one of the companies reporting to it, it’s usually not worth sweating. Accounts you closed listed as being open. Closing an account can’t help your scores and may hurt them. If your goal is boosting your scores, leave these alone. Once an account has been closed, though, it doesn’t matter to the scoring formulas who did it — you or the lender. If you messed up the account, it will be obvious from the late payments and other derogatory information included in the file. Asking a creditor to lower your credit limits. This will reduce that all-important gap between your balances and your available credit, which could hurt your scores. If a lender asks you to close an account or get a limit lowered as a condition for getting a loan, you might have to do it — but don’t do so without being asked. Making a late payment. The irony here is that a late or missed payment will hurt good scores more than bad ones, dropping 700-plus scores by 100 points or more. If you’ve already got a string of negative items on your credit reports, one more won’t have a big impact, but it’s still something you want to avoid if you’re trying to improve your scores. Consolidating your accounts. Applying for a new account can ding your scores. So, too, can transferring balances from a high-limit card to a lower-limit one or concentrating all or most of your credit-card balances onto a single card. In general, it’s better to have smaller balances on a few cards than a big balance on one. Applying for new credit if you already have plenty. On the other hand, applying for and getting an installment loan can help your scores if you don’t have any installment accounts or you’re trying to recover from a credit disaster such as bankruptcy. By the way, all these suggestions work best if you have poor or mediocre scores to begin with. Once you’ve hit the 700 mark, any tweaking you do will tend to have less of a positive impact. And if your scores are in the “excellent” category, 760 or above, you’ll probably be able to eke out only a few extra points despite your best efforts. There’s really no point, anyway, since you’re already qualified for the best rates and terms. Here’s one area where it’s really OK to rest on your laurels and worry about something else. Reprinted from MSN Money. Thanks for reading! In 1750, Samuel Johnson wrote that “to be happy at home is the ultimate result of all ambition.” And there’s truth to this; for most Americans, our homes are our launch pads for being and doing our best in the world, and the places where we live out our most precious, private moments. So, if you follow our most important dreams to their logical conclusions, they almost all boil down to having a happy home, where we and our families can thrive and enjoy happy, secure lives. Fortunately, dreams do come true – and dream homes can become reality. Here is a short list of musts for developing the vision, strategy, commitment and effort it will take to make your dream home your actual home. 1. Know what a dream home is and is not. Like anything else in life, you can’t realize your dream home if you don’t know what it is – and isn’t, definitionally. For purposes of this conversation, our definition of a dream home is closely related to our aspirations and our visions in a couple of key ways. Aspirationally, dream homes take some work and effort to achieve – they aren’t usually handed to us on a silver platter. And our dream homes are related to our holistic visions for our lives, as well. By that I just mean that our dreams of home are less about owning a particular building, and more about creating a vision for our whole life as it will be impacted by our choice of home. We want a home that will allow our children to flourish, that is safely located, that allows us to personalize it and either does or doesn’t require much work, depending on our personal preferences. By the same token, our dream home is also one that doesn’t create problems for our lives or prevent us from doing the things we want and need to do. If a given home is beautiful, but owning it requires us to work overtime at a job we hate, causes relationship problems, or simply requires too much repair or work for the time and resources we have, then that home is – by definition – not our dream home. your mother’s, sister’s or best friend’s dream home. Understanding what makes for a dream home – and what doesn’t – can help you avoid the common pitfalls of being upset when your dollar doesn’t stretch to get you a home like the one you saw on Million Dollar Listing, overextending yourself, or assuming that the types of homes your friends and relatives think are ideal for you are the same as your dream home. While they might overlap, they don’t always – and trying to fulfill someone else’s idea of what your dream home should be is the fastest way to create a nightmare home buying experience. 2. Get and stay clear on your personal vision. There are various tools you can use to create a clear vision of your dream home, to avoid the above pitfalls. The most important of these is to sit in a still and quiet place and literally start writing down what you want your life to look like after you’re in the home of your dreams. Don’t start with the technical characteristics of the building: you’ll get there soon enough, and the reality is that your co-buyer’s wants and needs, your budgetary limitations and the inventory available on your local market at the time will all impact the granular details of the property you end up with. Instead, start with big picture life objectives, like who lives with you; what activities everyone does in the home that may require dedicated nooks, crannies, whole rooms or outbuildings; where and how much you work (at home? 3 towns away? around the clock? ); how you get there and home every day; and what you do in your down time – be it hiking, home fixing, entertaining or strolling to the corner cafe. 3. “Be stubborn on the vision and flexible on the details.” Amazon founder Jeff Bezos delivered this one-liner in explaining his philosophy of creative problem-solving. And it applies just as powerfully to the creativity that is essential when hunting for your dream home. Compromise is unavoidable. Whether you’re spending $25,000 or $2.5 million on your next home, you will be required to compromise in order to reconcile your dream with your financials, the dreams of any co-buyers you have and realities of the real estate market, the inventory of available homes and geographic and other realities. You may want a water view, but your wife wants to walk to the shops – and no home exists with both of those things. Or maybe you want to keep your payment below $2,500 per month, but you also want to buy a move-in ready home in The Best School District Ever. And all of those things are simply not possible with the down payment money you have in hand. Bottom line: you’ll need to be somewhat flexible on the precise specs of the home you end up in as your ‘dream’ home – and the only way to do this is to ensure that you know what your whole-life vision is. Once you have your vision of life/home document ready, then you can get granular about the number of bedrooms, bathrooms and square feet you need, as well as location specifics, brushing your absolute must-haves and absolute deal-breakers in the most minimalistic of strokes. Adopting this Amazon-style ‘flexibility on the details’ empowers your experienced local agent/partner to suggest creative solutions for homes that will allow you to create the happy home life you’re trying to achieve, despite the circumstantial limitations. In any event, hold onto your vision of life vis-a-vis your home journaling document for later. If you end up in contract on a home and have second thoughts, it’s a powerful document to revisit before you finalize the deal, to make sure the inevitable compromises haven’t completely wiped out all traces of the life you hoped to create in this dream home. 4. Communicate your dream vividly to those who need to know. A frequently expressed dilemma of wanna-be dream home buyers is that their agent is not showing them homes that fit the bill. In my experience, this issue often arises when buyers’ champagne tastes and beer budgets don’t align, and their agent is trying hard to show them the best they can afford, but it still disappoints. Send your agent the Trulia listings for homes that reflect features of your dream home – or the whole enchilada, if you can find it. Attend Open Houses and save flyers of homes months, even years, before you start house hunting in earnest, to share what you loved about them with your agent when the time is right. Ask your agent to show you at least one home that reflects what they *think* you want in your dream home – regardless of price. You might be stunned and astonished at what your dream home really costs, but the experience can help you manage your own mindset, and expectations, back into the realm of reality. 5. Mind your business. Dreams may seem fluffy and soft, but the dream of a home is one which requires you to click into hard-core numbers mode in order to make things happen. Don’t fall into the trap of fixating on images of wainscoting and tree-lined streets until your money matters have been fully handled. I’m often surprised at how many buyers believe their dream home is just out of their financial reach, but have so much fat that can still be cut from their monthly budgets: money they spend on things they would say are much lower than their home on their priority list. Sit down and comb through your existing spending patterns with a fine-tooth comb and ask yourself whether your fantasy football habit is truly more or less important than getting closer to affording the home of your dreams. Talk with a financial planner and your mortgage broker about putting an action plan in place to eliminate bills that are impacting your ability to afford and/or qualify for your target type of home. Get clear, in your own household and spending plan, on what you can truly afford to spend on housing every month, versus looking to your mortgage broker to tell you what you can afford. Making your dream home come true involves some heavy duty bookkeeping and an intense commitment to managing your finances in a way that lines up with your values. Living an easy life takes a lot of hard work. With fashion and food, often less really is more. Here’s one more to keep in mind as you pursue your dream home: creating a comfortable home might require you to do some uncomfortable things. Writing – and sticking to – a spending plan, is one. Reading eye-glazing contracts and hundreds of pages of uber-boring HOA disclosures is another. Having frank conversations with your partner, negotiating, managing your emotions around affordability and the like – there are loads of uncomfortable moments that take place in and around the process of buying your home. These discomforts are temporary. But avoiding these uncomfortable moments can get you into some long-term un-dreamy drama: surprise HOA special assessments, a decade of living in a home you (or your partner) truly despises and years of living paycheck-to-paycheck from having overextended yourself are a few that come to mind. So, dive on into being uncomfortable for this short period of time, with the knowledge that doing so will set you up for long-term success in your dream home. 7. Know the difference between your vision for “this” dream home, and your long-term vision. The home you buy now might not be your forever home. It’s essential that you feel comfortable with the prospect of staying put for at least 5-7 years before you buy, in most areas. But don’t feel like this home must have every feature you’ll ever want to have in a home. 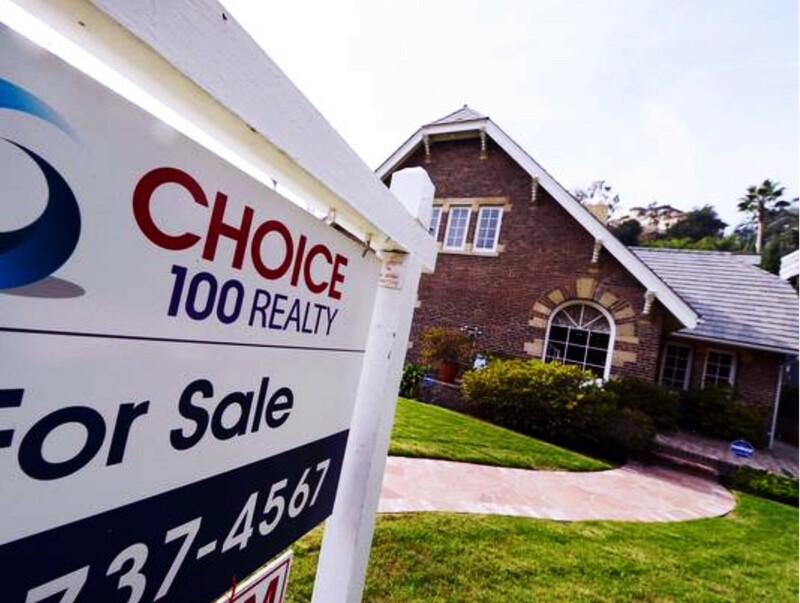 Especially if you’re buying your first home, the reality is that you’ll likely move up several times in your future, as your career, earnings and savings grow over time. Also, if your ‘dream’ home features list is particularly aggressive and/or your budget is particularly tight for your area, you might have to exercise serious visionary powers to visualize how you can develop the home you can currently afford into your dream home over time. Focus on location, expandability, and these other characteristics of a hidden gem of a home, and find someplace that is livable right now, but has the potential, with your hard work, to become the home of your dreams down the road. When young families choose a place to settle down, they look for more than affordable homes. Homeownership is a more complex decision than that – it means investing in your community and all it has to offer, from its public schools to the job market. Does the town have good public schools? We measured schools’ academic performance with ratings from GreatSchools. This non-profit compares a given school’s standardized test scores to the state average to obtain a rating on a 1 to 10 scale (10 representing the highest score). Higher ratings led to a higher overall score. Can you afford to live there? We looked at both median home values in each town and ongoing monthly home costs, including mortgage payments, real estate taxes, insurance costs, utilities, fuel and other bills. Lower costs led to a higher overall score. Is the town growing and prospering? We assessed a town’s economy by looking at average household income and income growth over the last decade. Higher income and greater growth led to a higher overall score. Jefferson Hills is a suburb of Pittsburgh, about 15 miles south of the big city. The local school district, West Jefferson Hills, is ranked 15th out of the 104 school systems in the seven-county region around Pittsburgh. Statewide, it fares even better, ranking number 51 out of 497 schools on math, reading and science. Greensburg is the seat of Westmoreland County and is about a 45-minute drive from Pittsburgh. The city supports an arts community with institutions such as the Westmoreland Museum of American Art – which has temporarily relocated until the main building completes renovation – and the Palace Theatre, which brings acts like Cyndi Lauper and the Temptations to town. For outdoorsy families, there is also the Five Star Trail – eight miles of land for biking, jogging and cross-country skiing. Phoenixville is in Chester County, about 30 miles northwest of Philadelphia. One district is in in the National Register of Historic Places, and it features art galleries, antique stores and restaurants. Residents also have easy access to the Perkiomen Trail, a 19-mile path made of cinder and stone. Broomall is an 11,000-person community just outside Philadelphia. The local school district, Marple Newtown, offers 16 AP courses and 32 Honors courses. The larger county is also home to Ridley Creek State Park, 2,606 acres of woodlands and meadows where residents can hike, bike and fish. Lansdale is a borough of Montgomery County about 30 miles northwest of Philadelphia. A local high school, North Penn, was recognized by Newsweek earlier this year as one of the best high schools in America. In particular, the school was distinguished for producing college-ready students: 95 percent of students graduate, and 89 percent go on to higher education. Emmaus is a borough of Lehigh County, near Allentown. Money Magazine ranked it as one of the 100 best places to live in the U.S. both in 2007 and 2009. The larger Lehigh Valley region includes two Fortune 500 companies, and the economy is becoming increasingly focused on high-tech industries, including biotechnology, pharmaceuticals and optoelectronics. Willow Grove is a suburb of Philadelphia in Montgomery County. The local school district is excellent – the community earned an eight out of ten from GreatSchools – and is planning on rolling out a program for its students to earn college credit while still in high school. “We’re getting closer to launching a program designed where students can earn an equivalent of one year of college,” said Superintendent Bob Milrod. The program is expected to launch next year. Hershey is a 15,000-person community in Derry Township, about 15 miles from Harrisburg. It has been called Chocolate Town, U.S.A. and the Sweetest Place on Earth because the chocolates of the same name are made here. The community is more than just a tourist destination; it is home to excellent schools. Hershey High School was ranked 16th best in the state by U.S. News & World Report earlier this year. Allison Park is a suburb of Pittsburgh in Allegheny County. Had Census data been available for income in 1999, and had we then been able to calculate a growth rate, the community would have ranked even higher. Indeed, its schools, part of Hampton Township School District, have been recognized as some of the best by publications like Forbes, Family Circle Magazine and the Pittsburgh Business Times. The district is also one of three in the county to be recognized by the state Department of Education for making Adequate Yearly Progress for six or more consecutive years. Wyomissing is a borough of Berks County, in southeastern Pennsylvania. Earlier this year, the Washington Post named Wyomissing Area High School the third-most challenging high school in the state – an evaluation based on the number of students taking college-level exams, including AP and IB. 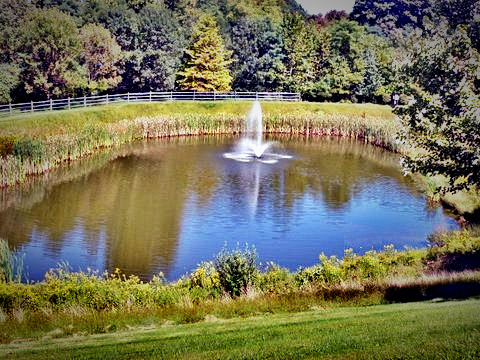 The borough also includes over 175 acres of parkland, including picnic areas and trails. Until you have talked to a legitimate, dyed in the wool runner and told them your story, explaining why you detest running with every iota of your being you won’t know the runner’s secret: everyone feels that way at first. It’s the normal physiological adjustment to the increased load you’re putting on your cardiovascular and musculoskeletal systems, this pain you felt when you took those first few steps. It goes away in just a moment, if and only if you keep on running. Today’s rapidly rising prices and generally volatile market does make things tough for buyers, so we thought we’d systematically explore – and then share – what’s going on inside the minds of the buyers on today’s market. Hopefully, sellers will find some insights for marketing their properties, too. Fresh off the presses, here are some of the insights and takeaways from our latest American Dream Survey, pinpointing the things today’s buyers worry about, will and won’t do in their quest to get their own corner of the American Dream: a home. Worry: Mortgage rates and prices will rise before I buy. Economist Jed Kolko reports that “the top worry among all survey respondents who might buy a home someday is that mortgage rates will rise further before they buy (41%), followed by rising prices (37%).” The worry is valid, given the fact that the market was depressed for so long and has a long recovery road ahead of it. It’s compounded by the fact that buying a home has gone from something that used to take a month or two and now routinely takes 6 months, 9 months, a year or even longer! Here’s the deal: you can’t stop prices from rising. And fixating on this particular fear poses the potential pitfall of rushing to buy or making compromises that will turn out badly in the end. Don’t dilly dally, if you’re ready and in the market, and don’t mess around making lowball offers with no chance of success. But otherwise, don’t let this fear drive your buying and timing decisions. Will: Be aggressive. B. E. Aggressive. Economist Kolko explained, “among survey respondents who plan to buy a home someday, 2 in 3 (66%) would use aggressive tactics such as bidding above asking, writing personal letters to the seller, or removing contingencies, to name a few.” What buyers do and don’t do in the name of aggressively pursuing their dream homes (and, consequently, what sellers expect) is slightly different in every town. Knowing that other buyers are facing down the same challenges you are and coming up with similar, aggressive solutions can help you feel a little less crazy about your thought processes and emotions and the desperate measures that come to mind when you hear how many others think “your” home is their dream home. And that puts you back in control of what can sometimes feel like an out-of-control situation. Reality check: you are 100% in the driver’s seat when it comes to how aggressive you want to be in your pursuit of any given home, and which specific tactics you leverage in the course of that pursuit. Worry: I won’t find a home I like. Forty-three percent of people who plan to buy a home in the next 12 months expressed the concern that they might not be able to even find a property they like. Perhaps these people were just seriously persnickety, but I suspect there’s a bigger issue at play here. All of us can find a home we like, but whether there’s anything we like enough to buy in our price range is a completely separate issue. not to let months and months go by while you make lowball offers or otherwise be slow to come to the reality of what homes are actually selling for in your area. The sooner you put yourself seriously in the game and make reality-based offers, the more likely you’ll be able to score a home you like in your price range. Worry: I will have to compete with other buyers for the home I like. Twenty-seven percent of those who plan to buy at some point in the future and 32% of those who plan to buy in the next year said they feared the prospect of facing a bidding war. This worry is well-grounded. In California, the average property receives four offers – but stories of dozens of offers abound. And it’s not just a West Coast phenomenon: buyers from coast to coast trade tales of getting outbid and having to throw in their firstborn child, lastborn puppy and most precious earthly possessions just to get into contract. Truth is, market dynamics vary from town to town, and even neighborhood to neighborhood, but if you’re buying on today’s market or planning to buy anytime soon, bidding wars, multiple offers and over-asking sales prices are a reality you will probably have to factor into your house hunt. Won’t: Bid way more than asking. Only 9 percent of wanna-be buyers said they would bid between 6 and 10 percent over the asking price for a property. This finding surfaces the uber-importance of checking in with an experienced local agent to get a briefing on precisely how much over asking homes are selling for in your area. This empowers you to tweak your online house hunting price range low enough that you can make an over-asking offer and be successful without breaking the bank. And once you’ve gotten a reality-based estimate of the over-asking norm, it will loom less ominously in your mind’s eye as a potential American Dream-killer. Worry: I won’t qualify for a mortgage. Of all the worries on the list, this is the one over which a smart buyer has the most power. So exercise it! Work with a mortgage broker who was referred by friends, family members or an agent you trust. And ideally, work with them months – even a year or more – before you plan to buy. They can help you put an action plan in place around boosting your savings and credit score, and minimize your debt and credit dings, that you can work to minimize mortgage qualifying dramas when the time is right. They can also help give you a stronger sense of what you can afford vis-a-vis your income, to help you anticipate any challenges related to what sort of home your dollar will buy in your market. Which steps are you willing to take in your quest to achieve the American Dream? Question #1: I heard prices may continue to fall – why should I purchase a home now? Price is not the only consideration. Even though the market is going UP in many places, some are still worried about a potential collapse. Homebuyers worried about falling prices need to think about the total cost of their loan and the interest rates that drive them. Buyers who try to second-guess the market may end up paying much more over the long run. 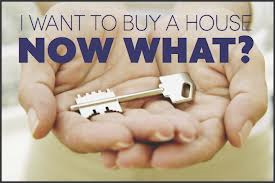 For example, a buyer who purchases today for $375,000 with 20% down will have a mortgage of $300,000. If they lock in at a rate of 4% fixed for 30 years, monthly payments will be $1,432.25 and the total cost of the loan will be around $515,610.00. If the buyer holds off and prices drop five percent, he or she could save about $70 per month. However, if the prices drop five percent and interest rates climb just one percent, that waiting buyer will pay about $97 more each month and $35,168 more over the life of the loan. I’ve seen so many buyers try to second-guess the market and fail. And there is always a price tag associated with that failure – sometimes a hefty one. Question #2: If I buy now, when can I expect to see appreciation? The answer: Be brutally honest, no one really knows. Initial projections showed appreciation could start nationwide in 2014. Recently this date was pushed back to 2016 and anyone currently watching the market knows that in many places prices have actually started going up in the past few months. The problem is, we don’t know how long this growth will be sustained. Historically, buyers didn’t purchase homes because of the potential for appreciation in value. Freedom from tyrannical landlords was at the top of the list. Unfortunately, after the housing collapse that began mid-2006, the idea of appreciation is now firmly cemented into most homeowner’s minds. Buyers whose primary goal is potential appreciation need to sit with you and write out a list of buying “Pros and Cons” to help make the decision – and, price appreciation shouldn’t be on the list. The answer: It totally depends on WHY you are buying. If you can make projected mortgage payments and the monthly bottom-line your focus, recent research shows it’s 45 percent cheaper to buy. If you’re a house hunter who is looking for short-term gains or quick profit, you shouldn’t bother. For buyers looking to be free of rental restrictions and petulant landlords, want the ability to renovate to their heart’s content, want to benefit from the significant income tax deductions and can afford the monthly payments, it’s a great time to buy. Ultimately, the decision to buy is a big one and there’s no blanket answer for the house hunting masses. The best thing any agent can do is give their clients the truth and show them the decision to buy is (and has always been) personal. Buyers are sometimes stunned at the number of potentially life-changing decisions and choices they are required to make over the course of a house hunt. This neighborhood or that one? Condo or single family? Fixer or move-in ready? Is that the right house? How much to offer, and on what terms? When to make an offer? Whether to remove contingencies? And that’s just the short list. But one of the most basic decisions real estate consumers ever make is the most impactful one, and it’s often one they make before they have the benefit of our expertise: whether to rent or to buy their home. 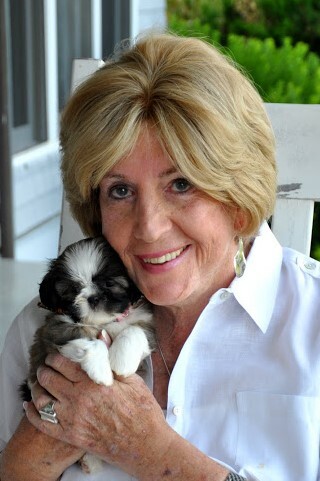 When buyers do come to you with assistance on the rent vs. buy decision, you might find the calculator helpful in showing them how their personal life and financial factors change the equation, and helpful in putting together an action plan that takes them to ready-to-buy with increased savings or a more conservative purchase price. The calculator also makes it incredibly simple for you to help clients understand alternative scenarios by changing the mortgage rate, the income tax bracket for tax deductions, and the number of years that they plan to stay in the home. MYTH: Rising home prices and mortgage rates make it more expensive to buy than to rent. Fact: Homeownership remains cheaper than renting nationally and in all of the 100 largest metro areas. But rising mortgage rates have narrowed the gap between the cost of buying and the cost of renting. The 30-year fixed rate is now 4.80%, compared with 3.75% one year ago (according to the Mortgage Bankers Association, or MBA). This jump in rates has raised the cost of buying relative to renting. 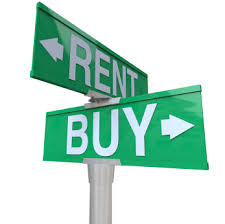 As a result, buying is 35% cheaper than renting today, versus being 45% cheaper than renting one year ago. The key reason buying is still cheaper than renting is this: both rates and prices are rising from very low levels and are still below their long-term historical norms. But the rent versus buy math depends on your local market, as rising rates and prices have pushed a handful of metros very close to the tipping point when renting becomes cheaper. MYTH: The mortgage interest deduction is the only reason home ownership is more affordable than renting. Fact: A key factor affecting the rent-versus-buy math is whether you itemize deductions on your income taxes and what tax bracket you’re in. If you itemize, you can deduct mortgage interest payments (not principal payments) and property tax payments from your income before calculating how much you owe in taxes. That said, only 33% of tax filers choose to itemize. Itemizing lowers the cost of buying relative to renting – especially if you pay taxes at a higher rate, because that means you’re deducting more. But buying remains cheaper than renting almost everywhere even if you don’t itemize. Without itemizing – or if your tax situation means you get no benefit at all from itemizing – buying looks 22% cheaper than renting nationally. And buying still beats renting in 97 of the 100 largest metros – everywhere but San Jose, San Francisco, and Honolulu, even without assuming that the buyer will itemize their taxes and use the mortgage interest deduction. MYTH: The increase in home prices, which is hyperlocal, will be the tipping point in making renting a home cheaper than buying, in most areas. Fact: Actually, the biggest factor narrowing the gap between the cost of buying and the cost of renting is rising mortgage rates – which affect the entire country. In fact, the benefit of buying relative to renting shrank in nearly all of the 100 largest metros over the past year: only in Springfield, MA did the gap widen, from buying being 47% cheaper than renting last year to being 49% cheaper than renting today. Because fluctuating mortgage rates can affect the rent versus buy math, we identified the mortgage rate “tipping point” at which renting becomes cheaper than buying, given current prices and rents. If rates keep rising, San Jose will tip first in favor of renting, at 5.2%. Already today, at 4.8%, buying is just 4% cheaper than renting in San Jose. The tipping point is below 6% in San Francisco and Honolulu as well, and below 8% in New York, Los Angeles, and seven other major metros. 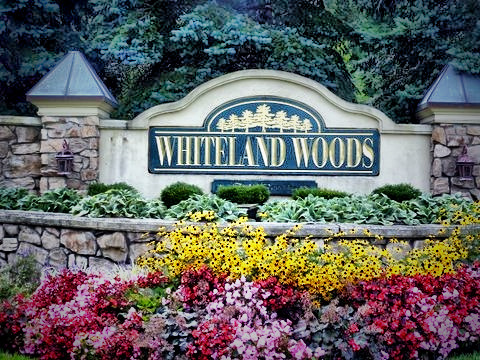 Whiteland Woods is a lovely residential community located in West Whiteland Township, West Chester, PA. It was built by Toll Brothers, circa 2002, and features a nice combination of town houses, carriage houses and single family homes. The location is central to all major routes, King of Prussia and Wilmington, Septa R-line to the city, PA turnpike and Expressway. The amenities are substantial: Pool, Tennis Courts, Children Outdoor Play Gym areas, Waterfall & Pond green area, hiking trails and a Club House complete with a Fitness Center. No worries about snow and lawn as the maintenance team are always there to make sure the appearance is top notch. The views from many points within the community are beautiful especially in the morning and at night time you can see many lights across the Great Valley. Shopping is extraordinary with Main Street at Exton, Exton Mall, King of Prussia Mall, tax-free Delaware and discounted Lancaster Mall Outlets, only minutes away. Let’s not forget its close proximity to West Chester, the “Boro”, one of the most quaint towns in the US with its brick walkways, University, art galleries, abundance of tree lined streets and fine restaurants. Vacation areas are abundant including NYC, the Poconos, NJ Shore Resorts and the Chesapeake Bay areas. Making the decision to buy a new home is a life-altering event…in a good way. But the process can be daunting. Take the following advice from CNNMoney into consideration before heading out on your home-buying journey. 1.Don’t buy if you can’t stay put. Given today’s challenging marketplace, don’t buy a home unless you can commit to staying there for at least a few years. The days of flipping for profit are long gone and you stand to lose money if you sell too soon after buying. 2.Shore up your credit. Securing a mortgage in today’s market requires excellent credit so take the time to clean up your credit report well before you begin looking for a home. 3.Be honest about what you can really afford. The rule of thumb is that you can buy housing that runs about two-and-one-half times your annual salary. But CNNMoney recommends using one of the many calculators available online to get a better handle on how your income, debts, and expenses affect what you can afford. 4.If you can’t put down the usual 20 percent, you may still qualify for a loan. There are a variety of public and private lenders who, if you qualify, can provide options in terms of interest rates and down payments. 5.Schools affect home values. Even if children aren’t a part of your life now or in the near future, look at homes in areas supported by a good school system. Good schools are paramount for many homebuyers and have a direct impact on the value of your home. 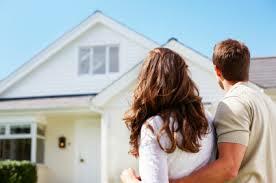 6.Work with a real estate professional. Even though the Internet gives buyers unprecedented access to home listings, most new buyers (and many more experienced ones) are better off using a professional agent. Today’s market requires expert guidance through every stage of the home-buying process. 7.Choose carefully between points and rate. When picking a mortgage, you usually have the option of paying additional points – a portion of the interest that you pay at closing – in exchange for a lower interest rate. If you stay in the house for a long time – say three to five years or more – it’s usually a better deal to take the points, says CNNMoney. The lower interest rate will save you more in the long run. 8.Get pre-approved. This will help you avoid the emotional rollercoaster of falling in love with houses you can’t afford. Not to be confused with pre-qualification, which is based on a cursory review of your finances, pre-approval from a lender is based on your actual income, debt and credit history. 9.Make an educated bid. Work with your real estate professional to make the right opening bid. Bids should be based on the sales trend of similar homes in the neighborhood, so review with your agent sales of similar homes in the last three months. 10.Hire a home inspector. In addition to the appraiser your lender hires, you should also hire your own home inspector, preferably an engineer with experience in doing home surveys in the area where you are buying. His or her job will be to point out potential problems that could require costly repairs down the road.